Master Reza Momenan is Chief Instructor of the Jow Ga Shaolin Institute and has dedicated much of the last 40 years to complete his understanding and knowledge of the Jow Ga and Shaolin Mizong systems and expanding the public’s awareness of the history and beauty of these two traditional Kung Fu styles. Master Momenan started his martial arts training in mid 1970’s by taking classes in the Shotokan Karate, which was one of the more popular martial arts in his homeland of Iran. Soon after, his interest turned to Kung Fu. He was first introduced to Kung Fu in early 70’s through a style known as To’A. Two years later he moved to the United States to pursue his academic education. Master Momenan started his Jow Ga training under the supervision of Master Dean Chin in 1979. As a result of his dedication to the system and, in particular, to Master Chin, he became one of Master Chin’s closest students. After Master Chin’s untimely death in 1985, Master Momenan continued his training with well-known Jow Ga instructors such as Master Deric Mims and Master Raymond Wong. 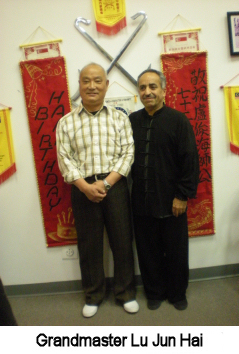 Master Momenan has been an instructor of Jow Ga Kung Fu since 1982. In 1986, he founded the Chinese Boxing Academy at George Washington University, where he was a Ph.D. candidate in Medical Engineering. He continued teaching at GWU until 1990, when he graduated. 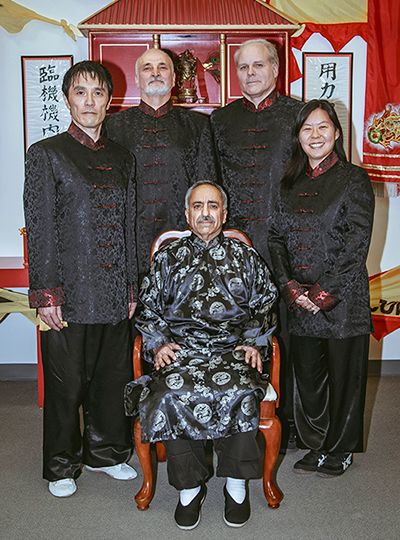 A founding member and official of the Northern America Chinese Martial Arts Federation (NACMAF), Master Momenan served as co-chair of the Certification Committee. In 1996, Master Momenan founded the Chinese Martial Arts Club of the National Institutes of Health in Bethesda, Maryland. Master Momenan has competed in national tournaments and judged martial arts competitions at both the national and international levels. Master Momenan was the first person in this area to perform a “non-assisted” two-story lion dance. Starting 1993 Master Hon Lee generously shared his knowledge of other Shaolin systems such as Cha,, Mizong and Qingping Swords with Master Momenan. In June 2000 Master Momenan met Master Lee’s teacher, 6th-generation Grandmaster of Mizong and 9th-generation Grandmaster of Qingping Swords, Lu Jun Hai, in London. During that short period Master Momenan impressed Grandmaster Lu so much that Grandmaster Lu took Master Momenan under his tutelage in training him in both Shaolin Mizong and Qingping Swords. Recognizing his talent and dedication, Grandmaster Lu subsequently made Master Momenan his disciple. 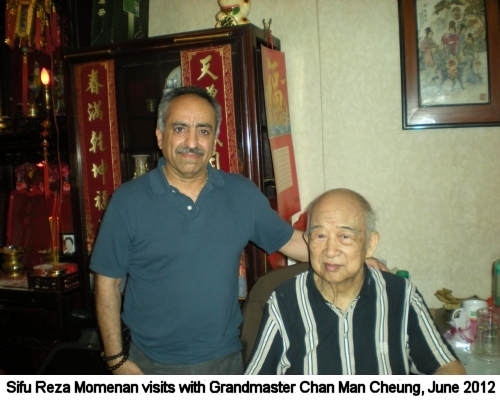 During the same year Master Reza Momenan transformed the original Jow Ga Chinese Boxing Academy into the Jow Ga Shaolin Institute, co-founded with Master Hon Lee. Master Hon Lee remains the Honorary Advisor to the Institute after his retirement from teaching in December of 2012. Over the last decade Master Momenan has trained high caliber martial artists and instructors, some of whom are now training their own students. Master Momenan stated once in 1990’s said his “quest to advance the knowledge of Chinese martial arts continues today with the same enthusiasm that started over 40 years ago”.